Our ever popular Jack the Joker fundraiser continues this Sunday night in Crotty’s Bar where the jackpot is €5400 as on Sunday night Martin Crotty was drawn out of the drum and chose card number 32 which when turned wasn’t the joker but he did win €50. Crow & Bridget and Jason & Kevin won €25 each. 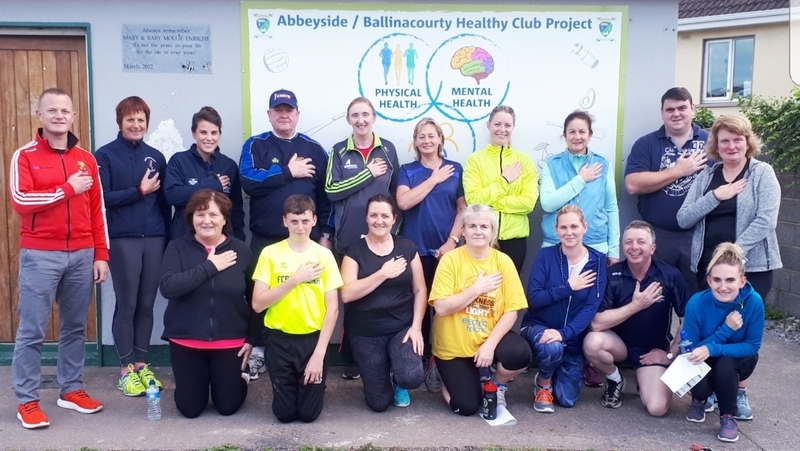 Following on from the success of the “Club on the Move”, our Healthy Club Programme launched the “Couck to 5K” initiative in association with Waterford Sports Partnership and West Waterford AC on Wednesday, 12th, at the grounds. It will continue each Wednesday at 6:30pm, culminating in participants taking part in the Brickey’s 5K on Sunday, 4th November at 11:00am. It’s not too late to join. €20 for 8 weeks training in a fun and healthy environment. Come along! This Saturday our senior hurlers take on De La Salle in the semi final of the County Championship in Fraher Field at 5:30pm. We appeal to all our supporters to please come over and shout on the team.